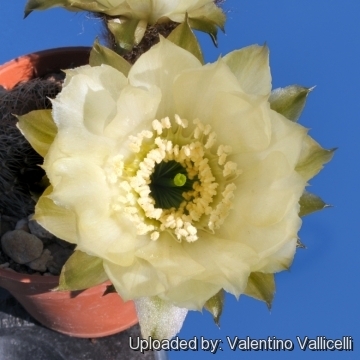 Description: Echinopsis densispina f. aurantiaca (a.k.a. 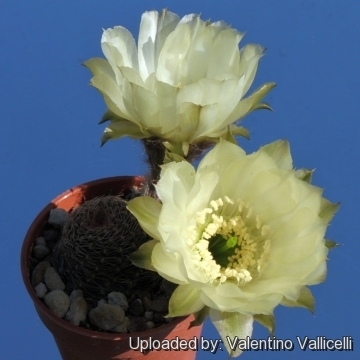 Lobivia pectinifera var. 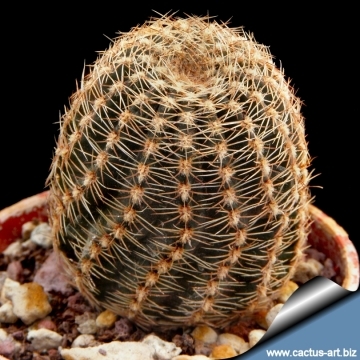 aurantiaca) is one of the innumerable local form of the very variable Lobivia pectinifera. 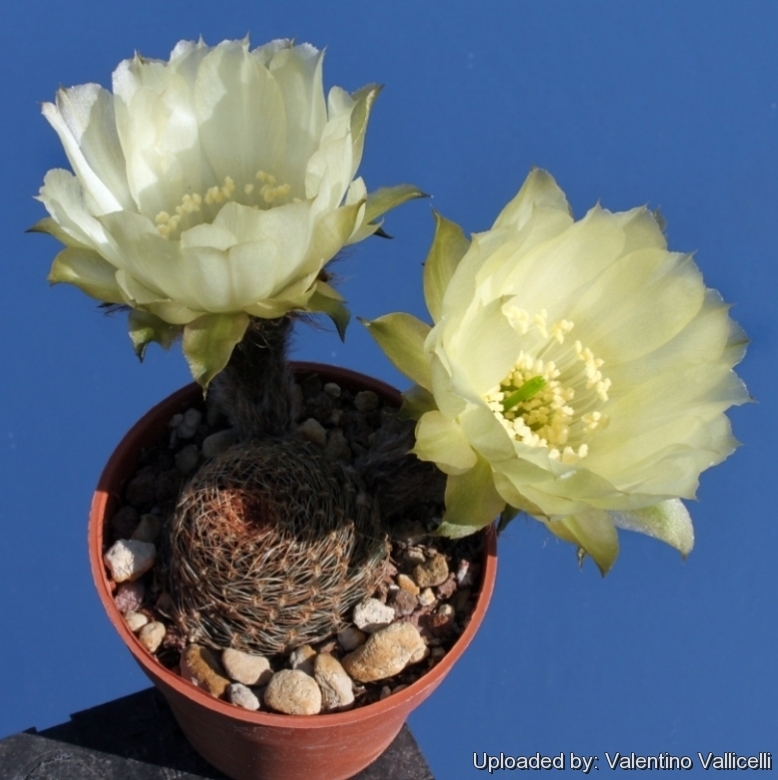 It distinguishes for the flowers occurring in various shades of yellow and for the tight slightly pectineted spines. It flowers quite readily making this species a beautiful one at flowering time, which is usually May to June. 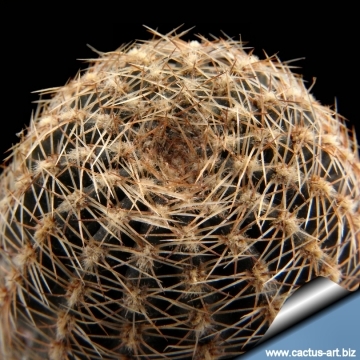 Habit: It is a low growing cactus species solitary or forming clusters or cushions from a large tap root. Spines: Forming a close network that shades the body. 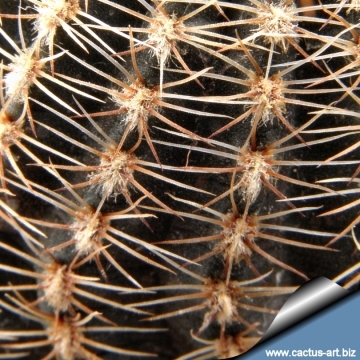 Radial spines: 16-22, brownish, spreading to somewhat pectinated appressed against the stem, bristle-like, flexible, whitish, 4 mm long. Flowers: The flowers occur in several shades of yellow, varying from pale yellow to orangish-yellow, up to 8,5 cm long. 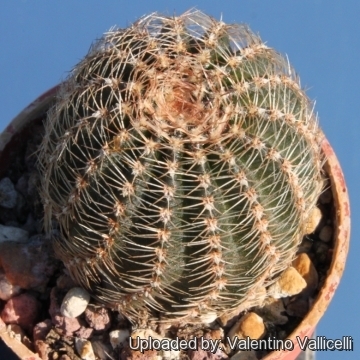 Cultivation and Propagation: Echinopsis densispina f. aurantiaca is a summer-growing species that offers no cultivation difficulty, not as badly affected by moisture as other cactus species. It makes great potted specimens.